This fruit is grown both commercially and as a back yard fruit in many parts of India. The fruits are mildly sweet with no acid content at all. They taste insipid. But still these are in demand. As they have no acid, so these are always the first recommendation to sick and ailing by the Indian physicians particularly to the patients of fever and jaundice. These are also reported to have a cooling effect on body. 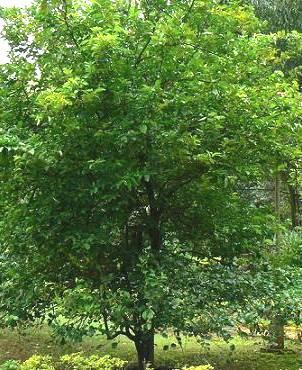 Sweet lime is a spreading tree, 3.5 to 5 m in height with an irregular growth habit. Thorns, slender upto 1.5 cm long; leaves pale green characteristically rolled or cupped, distinctly aromatic when crushed, ovate-oblong, 9.5 -12 cm x 5.7-7 cm, acute, petiolar wing margined; flowers moderately large, colourless or pure white. Fruits medium sized; globose to ellipsoid generally with low flat papilla, rind thin, with distinct aroma, smooth and glossy; albedo white, thin, soft and sweet, flesh pale yellow; seeds few (6-10), 1.2-1.6 x 7-8 mm, slightly beaked. Two forms of this fruit are generally met with. One has a very smooth and shining skin. This is more popular. Nurseries have namd their own selections within this group. The other has pumello like skin. But the taste is same. 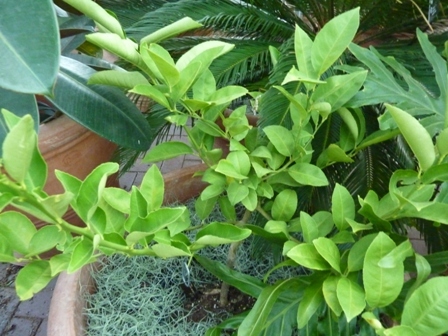 Indian sweet lime is a quite prolific bearer. The fruits start ripening 8-10 weeks before oranges and there is always a market for this fruit.